The process of making homemade kefir is actually quite simple and quickly becomes a part of the daily routine. The health benefits of kefir and good feeling it promotes make it well worth the effort of keeping a small space in the kitchen dedicated to homemade kefir production. What is needed to make homemade kefir in your kitchen? All the tools should be very clean and air-dried to prevent contamination of the culture. 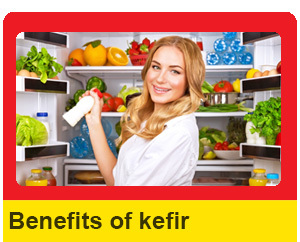 Metal must not be used as it might damage the kefir grains. For the first batch of kefir you will only need one glass jar, but as the kefir grains begin to increase they may be split to make two batches. This is best as there is then a 48 hour fermented kefir ready daily. More batches can be made for kefir milk inclusion in recipes. Kefir ‘starters’ can only be used a few times and do not create the same drink. Use real kefir grains, as these can be used continuously and create the highest quality and healthiest kefir milk. Traditional kefir is made with fresh cow or goat’s milk, but it is also possible to use other milk products including soy milk. It should be noted however that using different milk can change the taste and composition of the kefir. Kefir grains tend to reproduce more slowly in soy milk and become smaller in size. 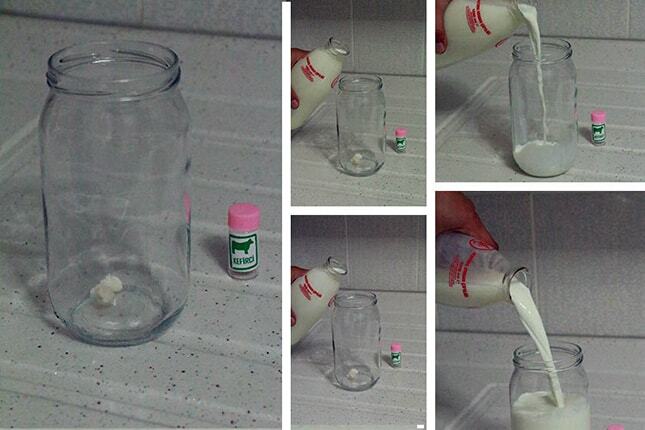 Place the kefir grains into the glass jar, and pour the milk over the top. Place the lid unsealed or lightly screw it on top. Air should be able to pass to allow the batch to breath and allow excess carbon dioxide to escape. The function of the lid is only to keep out any insects. 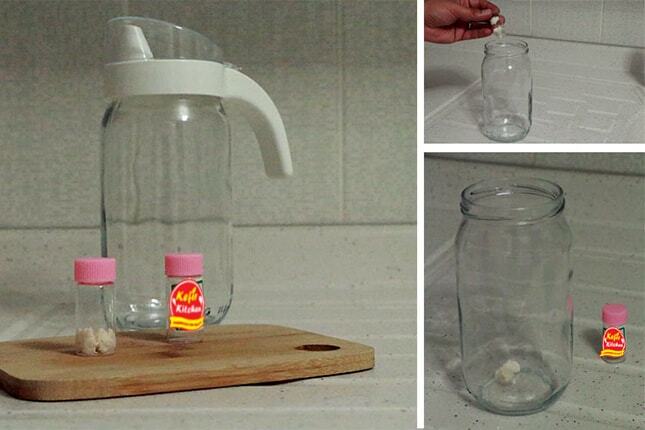 Keep the jar in a dark area (in a cabinet works well) and at room temperature. 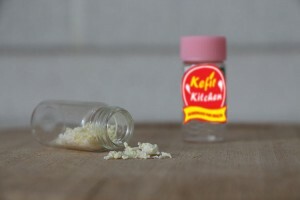 Kefir grains are more active at higher temperatures and less active at lower temperatures, so fermentation times may need to be adjusted slightly according to climate. On average, 24 hours of fermentation create a lighter and sweeter drink and 48 hours of fermentation produce a thicker and tangier composition. At the end of the desired fermentation period, remove the jar from the its’ storage space. 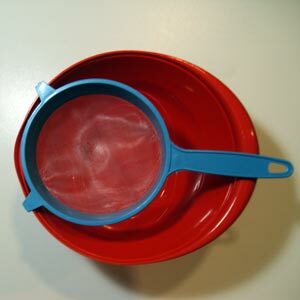 Holding the strainer over the plastic bowl, pour the contents into the strainer. 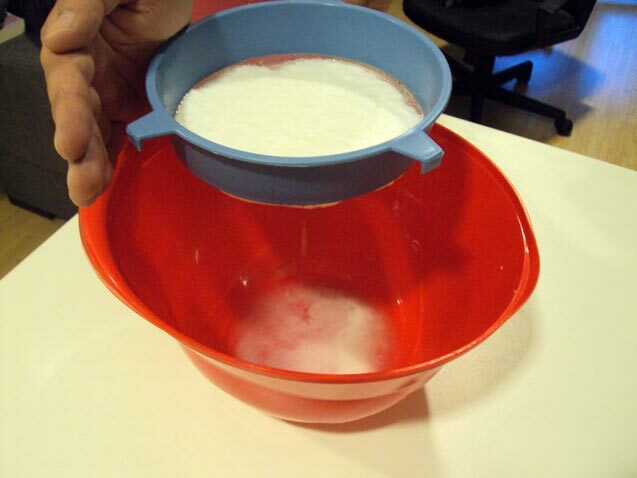 Shake the strainer gently and tap with your hand until only the kefir grains remain in the strainer. The kefir grains should be returned to the cleaned glass jar to begin a new batch. 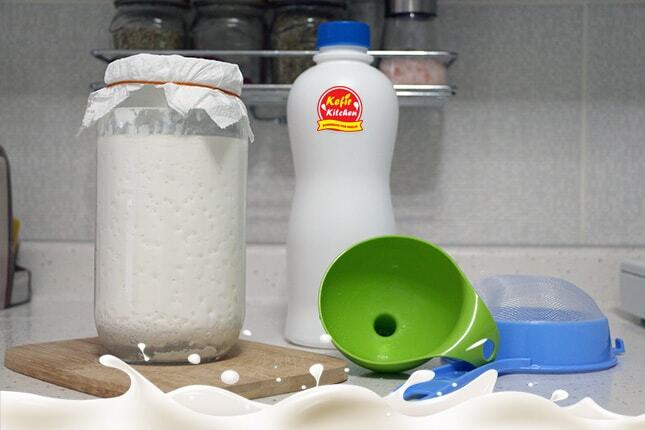 Your homemade kefir milk is ready to be enjoyed or used in cooking. The wooden spoon should be used to split kefir grains and scrap any newly produced grains from the bottom of the jar. When passing on kefir grains or storing them for short holidays, temperature and tools are key. Put the kefir grains in a small glass jar in enough milk to cover them completely. Keep them refrigerated so they remain inactive. Remember that high temperatures will cause the fermentation to begin, which is a point to keep in mind if giving kefir grains to a friend on a hot day. The kefir grains can be kept in the fridge in fresh milk for one or two weeks. If more time is necessary the milk should be changed. The first couple of batches made after the storage period may take a little longer and taste a bit more sour. This is due to the fact that the grains are slowly becoming active again. Changing milk types may also need a similar transition period. In what way do u take care of the grains. What r the steps to follow? 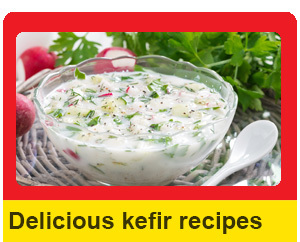 Anita, you can see detailed information on this page about handling kefir grains. Best. Do you sell kefir water grains? Unfortunately my grains sat in milk on the counter for a long time. Can I still use the grains or have it ruined them? Hi Heather, sorry to hear that! I would test the grains first making another batch. If they smell or taste different I would change them if not keep using them. Hope that would help. Best. I want to know what kind of milk to use…I asked the guy in the Natural food store and he said unhomogenized. But I ask you? unless I have a cow in my back yard…where do I get that milk. Can’t I use an organic milk? 2% or what???? Denise, of course you can use market milk. In some countries there are two different kind of milk. The ones you want to use to make your homemade kefir will be in the fridge. Do not buy the milk boxes which sit outside of the fridge. do you also sell water based kefir? Jennifer, yes you can use coconut or almond milk to make your homemade kefir. Enjoy! What type of milk do you recommend ? Can your kefir grain be used in water? Ie water kefir? Dear Irene, to make milk kefir you need milk kefir grains and if you want to make water kefir than you need water kefir grains. They are different but for example goat or camel milk can be used with milk kefir grains. how long can the grains be reued? 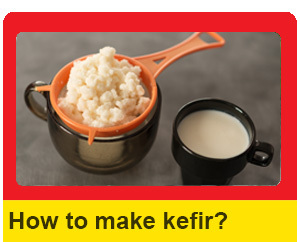 That depends on how you take care of the kefir grains. Grains which is taken care of well can be used more than 100 times.